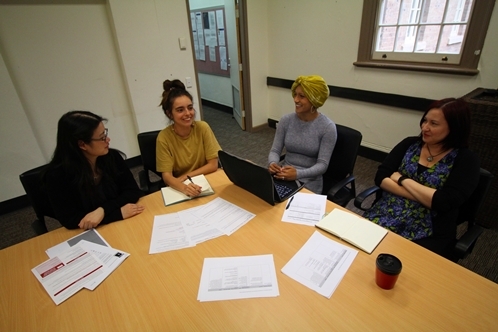 The Challenging Racism Project is a highly successful research collective from Western Sydney University which collaborates with academics from Deakin University, Curtin University and the University of Technology Sydney. 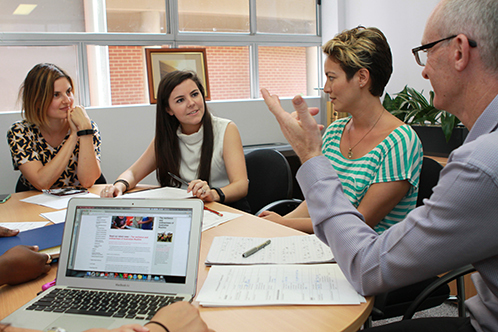 It has been principally funded by grants from the Australian Research Council and by other government agencies. 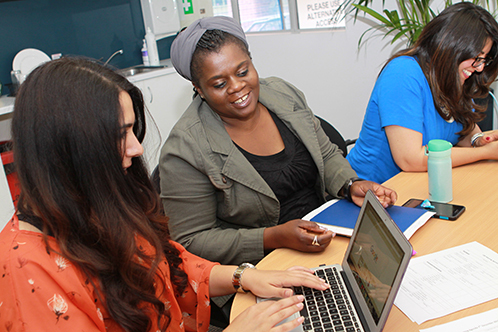 Dr Rachel Sharples talks about our research work on racism and the media. In Q&A with Dr Tanya Notley. "The geography of Islamophobia is a clarion call for those interested in advancing racial justice to interrogate the geography of power and the power of geography in shaping the urban experience and equal access to the public sphere." Read the opinion piece, The Geography of Islamophobia by CRP member Rhonda Itaoui. 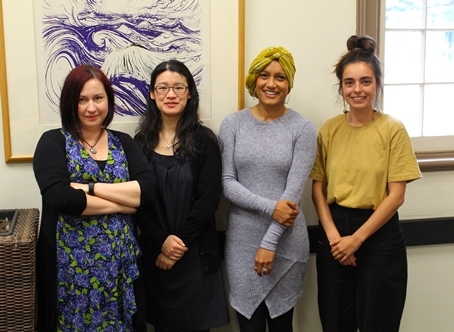 The Challenging Racism Project hosted the Australian launch of the HAAS Institute report on 'Legalizing Othering: The United States of Islamophobia'. CRPer Rhonda Itaoui, currently on exchnage to the HAAS Institute, presented the report at Western Sydney University, drawing on its relevance to the Australian context. Read the Legalizing Othering report (opens in a new window). 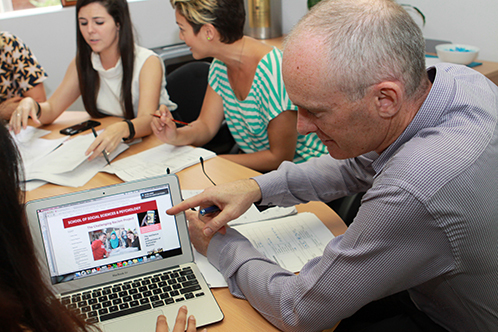 Find out more about the work of the HAAS Institute (opens in a new window). 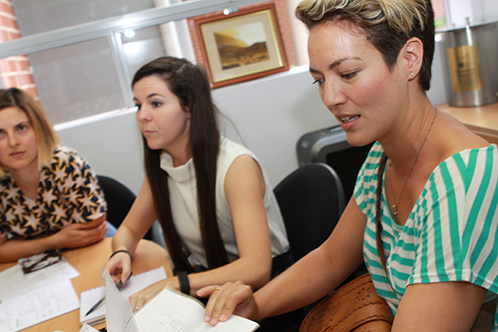 International scholar Rhonda Evans delivers a guest lecture on the politics of Australia's asympum seeker policy. 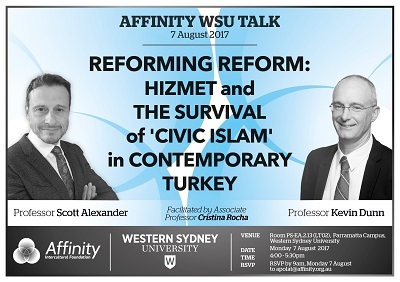 Professor Kevin Dunn is in discussion with Professor Scott Alexander on Hizmet and the survival of civic Islam in Turkey. Linda Briskman discusses the Islamophobia in Australia Report which was launched at Parliament House on Tuesday. The report finds that the perpetrators of Islamophobia attacks overwhelmingly target women. 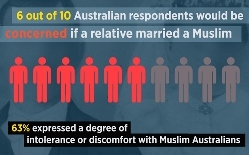 Read the Islamophobia in Australia report. We have two key concerns about the Government's proposed changes to the Australian citiznship test. 1). The rationale and lack of evidence for the changes; and 2). The consequences of the new questions likely posed, in both misleading the general public through perpetuating stereotypes and the detrimental impact of such stereotyping on minority groups. Face Up to Racism: Is Australia Racist? Did you know that almost 40% of racist incidents occur in public spaces, including on public transport? 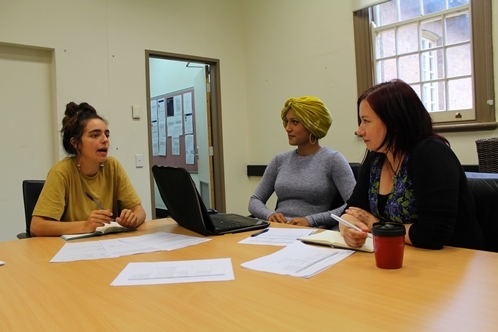 The Challenging Racism Project has launched a series of Bystander Anti-Racism videos to help the public speak up and speak out. A new Western Sydney University report: The resilience and ordinariness of Australian Muslims (opens in a new window) [PDF, 3607.6 KB] has found Muslims in Sydney face high rates of racism, but the vast majority list relations with non-Muslims as positive, and believe education and employment are more important than international affairs.